Facade GRC concrete has many applications, both in urban and industrial infrastructure. 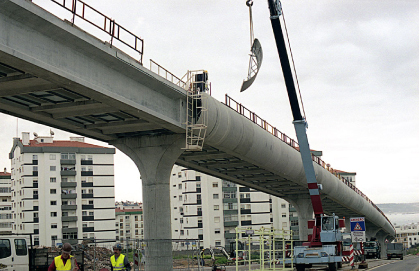 It is often used for bridge claddings, flyovers, retaining walls, embankments and acoustic (i.e. 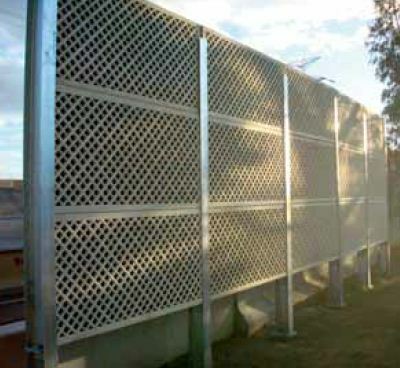 sound-absorbing) screens set at railway tracks and streets with increased traffic. 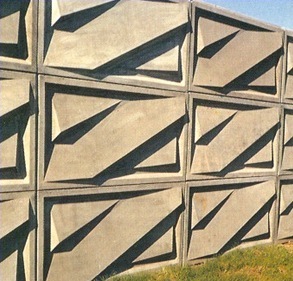 The main role of concrete acoustic screens is to increase safety and effectively dampen noise associated with broadly understood infrastructure. Thanks to its aesthetic qualities and a smooth surface, they are perfectly suited to act as a sound-absorbing barrier. 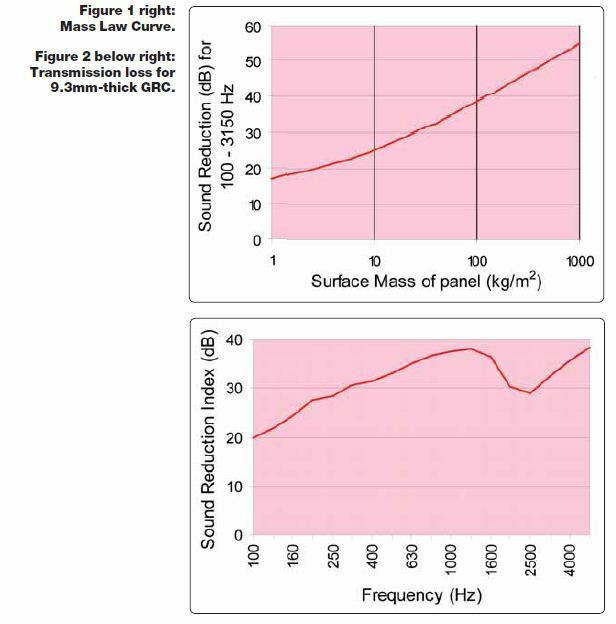 Research shows that the use of a GRC (GFRC) plate with a thickness of 9.3 mm on the wall of the acoustic corridor influences the attenuation and reduction of traffic noise by a staggering 31.2 dB. 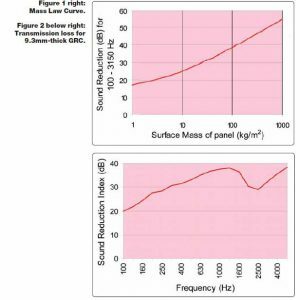 Given that street noise is usually at 100 – 3200 Hz, these results are more than satisfactory. 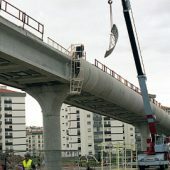 The use of a concrete sound barrier separating a block of flats from the road with multiple lanes or a tram station or even a busy intersection increases the attractiveness of the district as a potential place of settlement and affects the comfort of residents. The introduction of such solutions is therefore in the interest of developers who want to sell their properties more favorably. 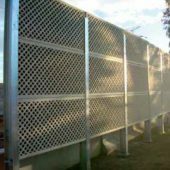 The installation of acoustic screens (be it concrete or any other material) is also warranted by government regulations regarding noise standards and must be implemented in places where these standards are exceeded. 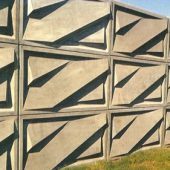 The use of concrete sound barriers enables you to combine the functionality of the solution with the aesthetics of the environment. Taking care of the neat appearance of concrete sound walls will put the voices of opposition to rest, who are rebelling against the city’s disfigurement. Places that require the installation of significantly big concrete acoustic screens are areas around highways and expressways. There is car traffic for almost 24 hours a day which generates noise exceeding even 70 dB, thus reaching a level harmful to people. A similar situation applies to passing trains, the sound of which can have a negative impact on human health. 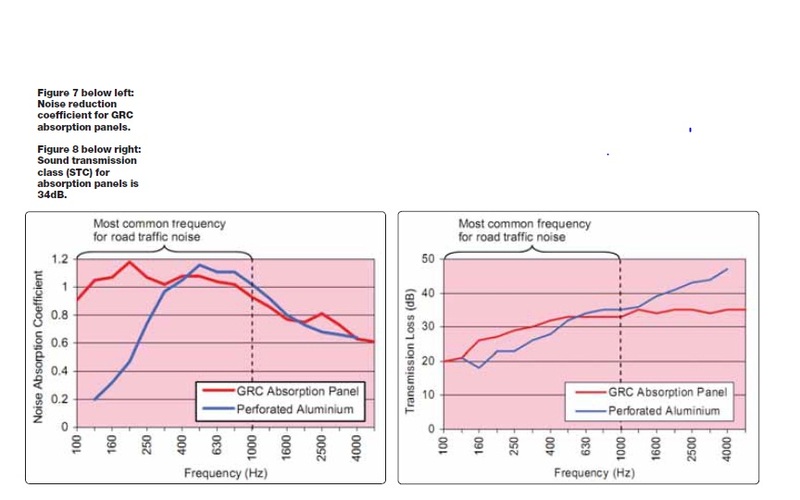 Installation of external acoustic screens in the vicinity of road and rail routes enables you to mitigate the adverse effect of noise on the human body, and at the same time – if we use modern, aesthetic GRC (GFRC) technologies – it can be a decorative element of the environment. The GRC (GFRC) material is a durable one, and its plasticity and ease to mold it into shapes make it an attractive element of the gray space around communication routes. 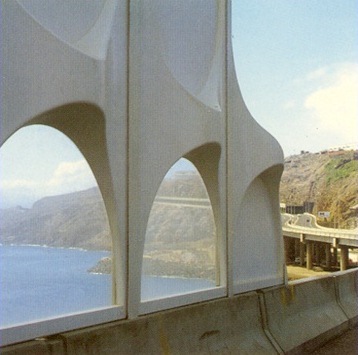 Designed by professionals, a concrete acoustic screen or bridge will easily transform into a comfortable, pleasing to the eye and, above all, user-friendly element of the urban agglomeration. A creative use of concrete when producing and assembling acoustic screens can make the landscape richer and more attractive to the eye. Our offer includes not only traditional and minimalist elements – we also have a wide range of decorative concretes with different colors and textures.